This is a typical unfinished basement before staging by Debra Gould of Six Elements. See the transformation below! This house gained an extra room in the mind of the buyer when Six Elements moved the clutter to off-site storage and arranged the exercise equipment that was already hiding under the piles of junk. 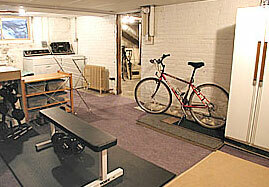 Now this unfinished basement becomes a laundry room/work out room in a buyer's mind. So as much as you may be accustomed to living with your own clutter, realize that it must go before you put your home on the real estate market. 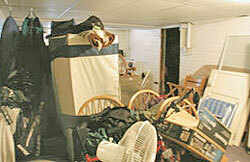 Your clutter is costing your money because your house will take longer to sell and it won’t sell for as much money. Why? Because potential buyers won’t be as excited as they should be about the possibility of living there. If there’s no buyer excitement, there’s no offer! Or there’s only a very low-ball offer. 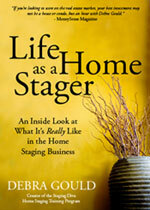 Home staging will make all the difference in how long your house takes to sell and for how much. Learn more about how we can help decorate your house to sell on the real estate market, whether you are in Toronto or anywhere else! 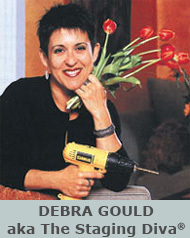 Home staging expert Debra Gould has staged millions of dollars worth of real estate. 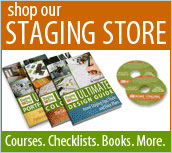 Most homes are cluttered when she gets there, but by the time the house is staged, excess items have disappeared to off-site storage. 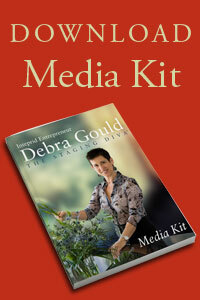 Contact us to learn more about how Debra can help you. Grade A stuff. I’m uqnuesotinbaly in your debt.